TOEIC is a common test that many workplaces require in order to test their current and potential employees’ knowledge of English. Unlike other language based exams it only consists of reading and listening and not writing and speaking which makes it more desirable than other more demanding exams. Its main aim is to test how well people are able to communicate in English – more specifically in the business and commerce worlds. While it may appear to be one of the more easier exams on face value many authors and language experts are in agreement that in order to pass the TOEIC test well, test takers need to improve not only their basic language skills but also their test-taking skills which is why it is imperative for the teacher/tutor to be fully versed in the exam and ready to offer sound test-taking advice as well as knowledge. It is common knowledge that listening is a receptive skill, however, it does require effort and a lot of practice. 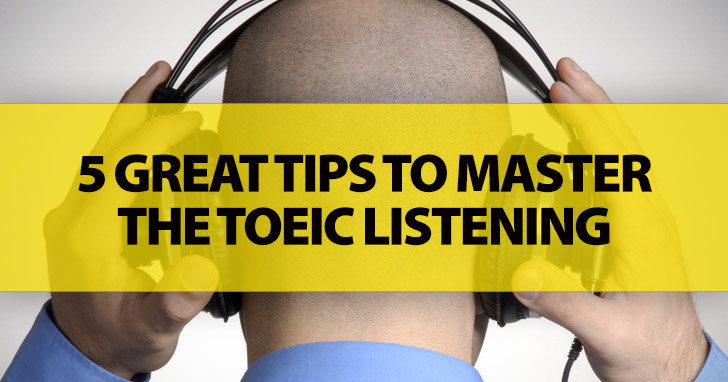 Many teachers are under the assumption that because their students listen to them daily in lessons that this is enough, however, this cannot be further from the truth especially in terms of the TOEIC test as this particular test has a lengthy and demanding listening section and requires the listener to remain active. This is particularly challenging for learners who have never had to sit a formal English exam. The TOEIC listening exam is not just listening for comprehension but it also requires the listener to understand vocabulary, discriminate between certain sounds, understand grammatical structures and also understand intonation and stress – all of which needs to be done while understanding the much wider socio-cultural context of the dialogue. In saying all of this, it is not as easy as it seems to pass the TOEIC listening with top marks. Teachers need to carefully train their students, giving them the confidence in listening well and being able to transition from the different types of listening tasks quickly. The TOEIC exam is renowned for inserting many trick questions and traps which can throw even the most confident student off course and as the listening dialogue is only heard one time students must be able to remain focused and on the ball. Here are just a few helpful strategies that you as a teacher can adopt and utilize within the ESL/EFL classroom to ensure success in the TOEIC listening. It’s recommended to really give your students constant practice with past papers under test conditions. There are many different activities that you can do in the classroom with TOEIC but the best thing to do is to have them do past papers (all parts included) in order for them to get used to the quick transitions, fast pace and the types of traps that they may come across. At first guide them gently, stop the recording after each question and ask them to answer it and discuss why or why not they are correct giving them a clear insight to what they are doing right and wrong. Gradually build your way up to playing more questions in succession. The gradual progress towards answering more questions will build confidence and it will also help you as a teacher which areas need focusing on more. For part one of the TOEIC listening exam students are required to look at a series of photographs that depict real life situations e.g. a supermarket worker moving boxes and the student will hear four statements. Upon hearing the statements the students will be required to check the box which is true related to the picture that they see. To start with, have your students focus on one picture and play each statement pausing after each one. Ask your students to raise their hands to which statement they believe is true in relation to the photograph. This is a great way of introducing part one as it builds confidence and is not too taxing. Additionally, it will help you as a teacher to identify from the outset which particular students have the most difficulties with this section of the TOEIC listening paper. This is a great exercise to use in large classes where it’s difficult to initially understand each individual student’s needs and level. This activity acts as a type of assessment if executed properly and from here you’ll be able to determine which students need extra help and work. It’s also possible to add a little bit more variation to the above exercise in the beginning to change it up slightly. Play all of the statements related to the picture according to what the students will hear in the real TOEIC test and after all four statements have been played, stop the CD and read the options A-B-C-D out loud with a short pause after each letter. Again students are required to show their hands to indicate which answer they believe to be true. The variation still allows the teacher to distinguish the weaker learners, however, this time it’s slightly more authentic in terms of test practice. This section of the test is made up of 31 different questions and students will hear a short statement such as: hand me over that stapler, will you? Upon hearing it, the students will then hear a series of three questions e.g. A. Here you are. B. It’s in the other hand. C. It’s over there in the drawer. The students are then required to choose which the most appropriate response in accordance to the initial statement is. Here it’s a good idea to again press play on the CD and allow them to hear the first statement. Immediately after they’ve heard it, pause the recording and ask the students to brainstorm a few appropriate responses to the statement. This process will help activate their knowledge and prepare them for the three different responses. After they’ve discussed their ideas a bit, you can then continue to play the rest of the recording with the corresponding responses so the class and in turn they will able to identify the correct response easier. Because the TOEIC listening is only heard once and it can be rather fast in some places learning how to activate pre-existing knowledge and utilizing prediction skills will help them to imagine the correct response prior to hearing the different options thus making it easier to answer the question. Part three is slightly longer than the previous two sections and requires the students to listen to ten different everyday conversations and then answer multiple choice based questions based on the scenario. This section needs more work and focus as it requires more concentration and it’s not uncommon for students to be feeling slightly tired by this point of the exam. Before you even play the first conversation to your students, write three questions (without the answer options) on the whiteboard. Explain to your students that you want them to listen to the following dialogue and they need to try and find the correct answer for each particular question. After the students have heard the conversation and write their own answers down, have them compare their answers together. After comparing, give them the four different answer options and allow them to select which is the correct one based on what they have heard and the answer they’ve already written down. This is particularly helpful as this is the area where many traps lie, especially when it comes to numbers and dates as the recording could actually mention more than one of the figures. The whole purpose of this particular exercise it to facilitate your students’ focus – it helps them to pay more attention to specific details without being distracted by curve balls. Part four requires the exam takers to listen to three short talks relating to different scenarios. There are three questions per talk and the student is required to answer the best answer that fits the situation best. Before playing these short talks to your students, ask them to underline all of the key words in all three questions and additionally in the answer choices – this may take some guidance at the beginning to ensure they just highlight the necessary words. After they get the hang of identifying the key words have them do it in a period of 7 seconds to help them to keep at the same pace of the recording. Immediately after your time limit has passed, play the recording without exceptions as this will force students to work quickly and remain focused. Part four is the trickiest section to do well in when it comes to the TOEIC listening and it’s incredibly easy for the students to fall behind due to the speed of the recording and lack of breaks between each question. This particular exercise will encourage students to work quickly skimming through the questions and the answer options as quickly as possible. When they improve their previewing speed, they’ll have more of a chance of keeping up with the speed of the recording which is the main thing that lets the exam takers down in this part. Don’t be fooled into thinking that the TOEIC listening section is easy because it just consists of answering multiple-choice questions - it’s not. It needs careful practice and good strategy and speed and therefore it’s imperative for the tutor to spend as much time as possible going through different methods to ensure the students will achieve high marks.